From 1942 to 1945, hundreds of thousands of American service personnel ‘invaded’ Great Britain. 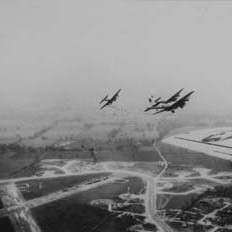 During the month of July, 1943, members of the 390th Bomb Group began their role in what later became known as the Friendly Invasion. On July 18, the 390th air echelons arrived at Station 153 near Parham Village. Ground echelons arrived ten days later. Colonel Edgar M. Wittan, the 390th Bomb Group’s Group Commander, addressed the men upon their arrival. Bluntly, he stated that work would be the rule for the future. As the Group settled into life on Base, the locals settled into life with the Americans. What follows are observations of the 390th Bomb Group, as seen through the eyes of a local farm girl. 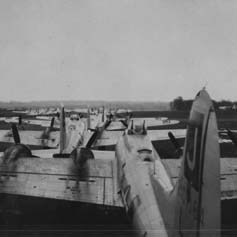 390th Bomb Group Aircraft awaiting departure at Station 153. Aircraft returning to Station 153. “We never felt at ease until they all had landed. We called those boys “our boys,’” and their ships “our ships”. 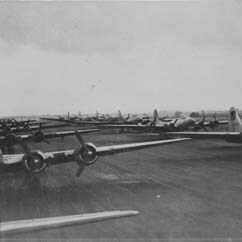 B-17s on the runway at Station 153. A lone plane returns from a mission. “Almost every evening there would be a game of baseball going on. We never could make out why they had to make so much noise while they were playing. We English may get very excited over some of our games, but I do not think we every do so much shouting or cheering”. 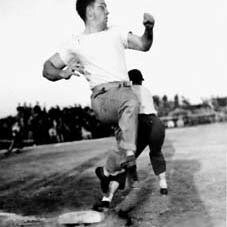 Baseball was a favorite passtime of 390th Bomb Group personnel. 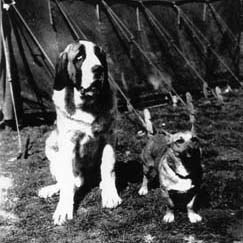 “I must not forget to mention all the dogs that lived on the Base. There were dogs everywhere, big ones, little ones, all colors and every kind”. Many 390th Bomb Group members kept pets on Base. 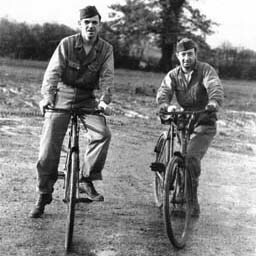 Bicycles were the primary mode of transportation for 390th Bomb Group personnel. 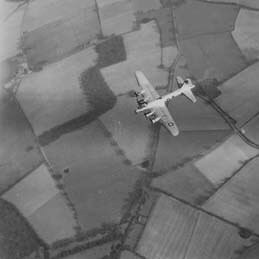 The 390th Bomb Group vacated Station 153 exactly two years to the month. Absent the ruckus of ballgames and B-17s, the fields fell silent. 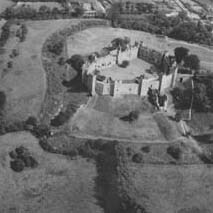 The Framlingham Castle was a nearby landmark that air crews used to mark their return to Base. 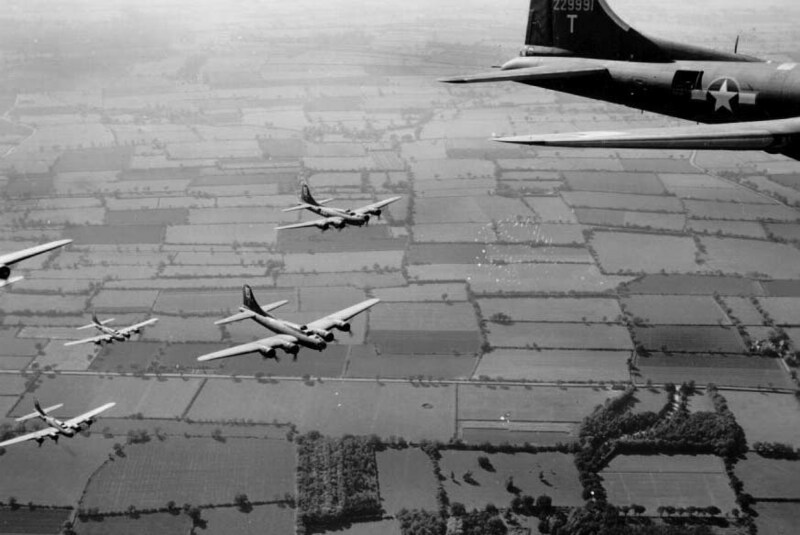 After the 390th Bomb Group returned to the United States, silence filled the surrounding hills and sky.